Cartridges are great for those who are looking for a convenient, discreet, and a truly exciting way to enjoy cannabis. The cartridges are much easier to use and can be carried easily unlike the real cannabis flower. Using the cartridges is basically about being discreet and avoiding the prying eyes of the authorities. Here’s what you need to know about the different types of cartridges and why they are really worth trying. The cannabis cartridges are filled with concentrates and don’t give off a strong scent. You don’t even need to grind or pack them. In fact, using pipes is no longer necessary since you simply need to carry a pre-filled cartridge that can be hooked to a 510-thread battery. To use the cartridge, simply press the button and inhale from the mouthpiece. This will automatically heat the cartridge up and you can vape instantly. In fact, the use of cannabis cartridges has become a growing trend not just on beginners but among seasoned users as well. Furthermore, the cartridges are among the fastest growing segments in the cannabis industry. In fact, there have been reports that the sales of the cartridges have surpassed the sales of flowers. Here are some of the reasons why many people choose to use cartridges. Discreet – Cartridges are known for their low profile nature so using them is pretty discreet. Variation – With cartridges, you’ll have many varieties to try. They are available in different strains and come with user-friendly color and markings, so there’s no problem using them even if you are a beginner. Longevity – Cartridges have concentrated fillings and are capable of maintaining their potency and flavor for a much longer time. You’ll also not lose valuable cannabis properties unlike when smoking buds, which has the tendency to carbonize and crumble when you lit it up. Cost-Efficient – With cartridges, you don’t have to spend much since they contain potent concentrate that last for a longer time compared to the normal flower. Furthermore, it comes with reusable batteries that can be bought for only $10 to $20. Regardless of the design of the cartridges that you will go for, it’s important that you choose the one that’s made from high-quality concentrate. Plastic Wick – These cartridges are the most affordable of all. They are made of a wick and plastic tank system and are best suited for concentrates that have lower viscosity. It’s because the wick is not capable of handling thicker oils which some other cannabis products have. 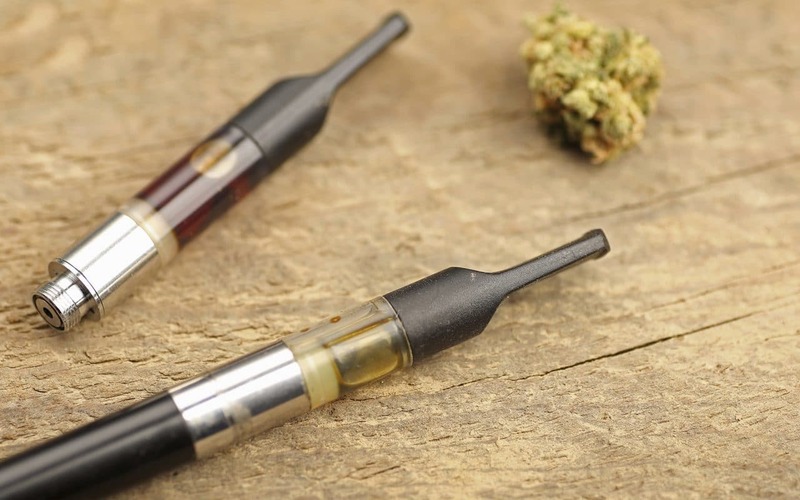 Pax Pods – These are the next generation cannabis cartridges. They can be controlled through an app, which the brand is famous for. If you want innovative cartridges with a little swag, then Pax Pods is for you. Glass and Metal – These are the premium standard for cannabis cartridge designs. Unlike the wick, this cartridge comes with an atomizer that’s made of varying materials. One of the benefits of this type of cartridge is that it can handle the oil’s varying viscosities. Make sure to compare the cartridges based on their performance and value. What’s important is that the oil that the cartridges contain is of high quality.